Chibuzor Okonkwo's dream of playing for English Championship side Reading FC is now an illusion, allnigeriasoccer.com can exclusively report. The 23-year-old was not offered a contract after undergoing trials, and has returned to Nigeria. Recall that December last year the Beijing Olympics silver medalist quit the Eagles Camp to begin trials at the Madejski Stadium. 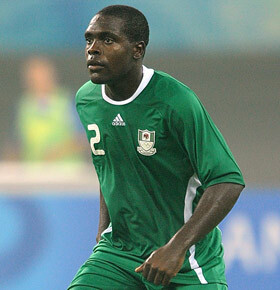 Vincent Alumona, who is close to the player, told allnigeriasoccer.com: ''Reading did not offer him a contract. He called me on phone the day after he returned to the country. There was something we were working for him in Greece before he went for trials in England. Okonkwo had also trialed with FC Kryvbas, Ukraine and Russian club FC Rostov, but nothing came out of both tests.